Surprise the hell out of every customer. Yes, that is our goal! Deliver an experience to every Starwood Motors customer, so they walk away rethinking the automotive buying and Jeep customization experience. Whether buying one of our 100+ cars or custom jeeps in inventory, customizing your own jeep or truck, consigning your car, financing, shipping, or having us locate your perfect car, clients quickly understand we have every resource to fulfill all of your automotive needs. There’s been a paradigm shift in the automotive industry, and we are at the forefront of that shift, creating unrivaled products that inspire. Innovating every day to find better ways to create cooler products. Disrupting an industry that has seen little change in past decades, with one goal in mind …To build a time-tested brand and customer centric culture that reflect the craftsmanship and pride seen in our products, inventory, and people at Starwood. It’s no secret that the lifeblood to any great organization is the people. The unparalleled experience of the entire staff draws off more than 200 years of combined automotive experience. With over 55 employees, everything is handled in house with pride and a personal touch. The sales experience is very atypical for one very simple reason; our goal is not to sell you a car… Our goal is to create a long-term relationship. This long-term mentality is seen not only in our employees; but our products, services, and our one-of-a kind facilities. 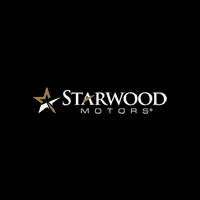 The Starwood Motors Brand has become one of the industry’s largest and most well respected names for their fully customized jeeps, trucks, and innovative designs. Every part of the time intensive customization process is done in-house, creating a quality control that is unmatched. Our passion and continued inspiration for all things automotive is evident through all of our people and our many dealer and custom services. We take pride in connecting people and cars, two things we all love here… because, after all, what we’re doing here is something much bigger; Starwood Motors is creating an unprecedented experience for our customers all over the world.